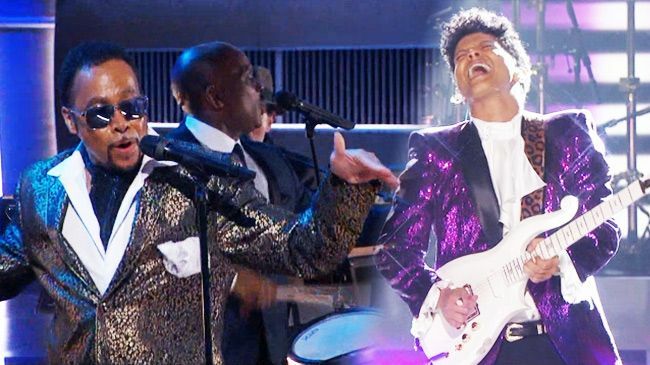 *The highly anticipated Prince tribute went down Sunday night at the 2017 Grammys as The Time and Bruno Mars did their thing to honor the late icon. As part of the tribute, Morris Day and The Time covered “Jungle Love” and “The Bird,” written by Prince and several members of the audience couldn’t help themselves and joined in on the dance the song inspired. If you know your music history, you of course kn ow that the Time was introduced to the world by Prince.